A new study concludes that British Columbia’s southern resident Orca pod is led by “post reproductively aged” females who help it survive during lean years. According to the study, the older females serve as key leaders, directing younger members of the pod, and especially their own sons, to the best spots for landing tasty meals of salmon, helping their kin to survive. 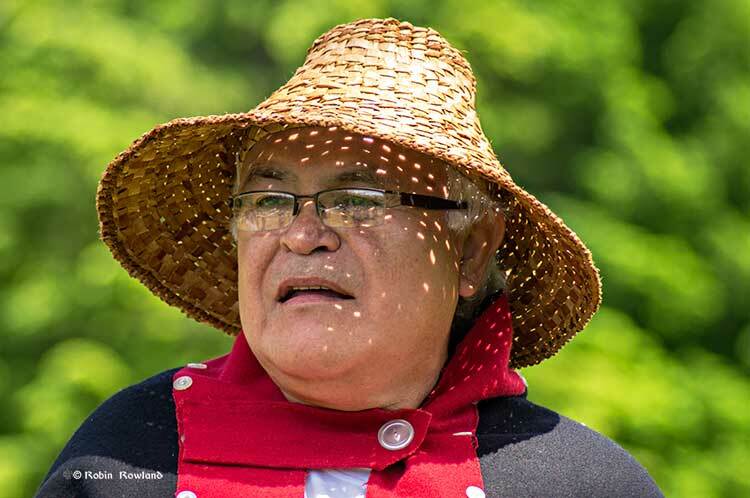 This leadership role takes on special significance in difficult years when salmon are harder to come by. There are only three species on Earth where females go through menopause, human beings, killer whales and pilot whales. The scientists say in their paper this also provides insights into why human women continue to live long after they can no longer have children. Leadership by these females is especially prominent in difficult years when salmon abundance is low. Female killer whales typically become mothers between the ages of 12 and 40, but they can live for more than 90 years. By comparison, male Orcas rarely make it past 50. Resident pods feed mostly on Chinook salmon. Chinook make up than 90 per cent of their diet during the summer. The abundance of salmon fluctuates due to fishing by humans and weather changes such as El Nino and climate change. The study says that individual killer whales with information on where and when to find salmon provide other group members with considerable benefits. 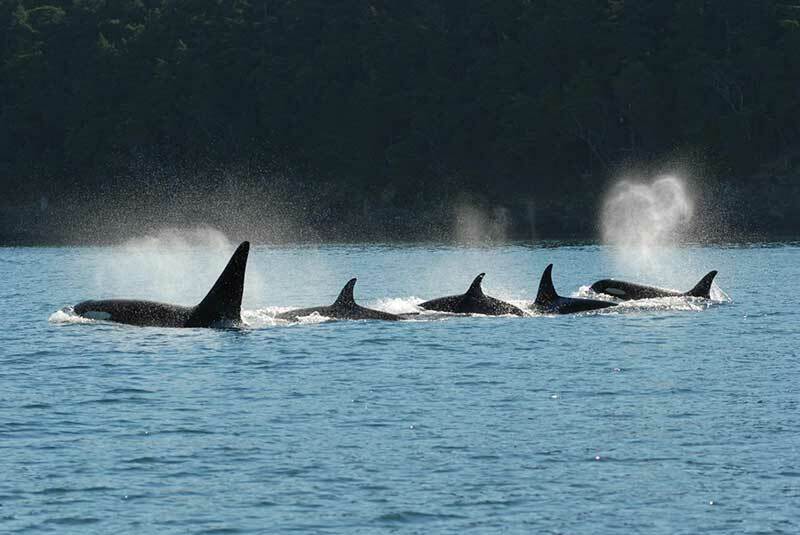 To find out who were the leaders of the Southern Resident pod, the team analyzed 751 hours of video footage taken over 35 years of as many as 102 Southern resident killer whales in the coastal waters of British Columbia and Washington engaged in directional travel , collected during nine summer salmon migrations. The scientists also used multigenerational demographic records have been recorded for the Southern resident killer whales since 1976, allowing them to know the family relationships of the Orcas. A killer whale pod swims in tight configuration. The researchers also found that females are more likely to lead their sons compared to their daughters. So how does the study of Orca elders apply to human beings? Recent studies show that living beyond the age of 60 is much more comon in hunter-gatherer cultures than previsouly believed. In hunter-gatherers, one way that menopausal women help their relatives, and thus improve their own inclusive fitness, is by sharing food. Menopausal women may also share another key commodity—information. Humans were preliterate for almost the entirety of our evolutionary history and information was necessarily stored in individuals. The oldest and most experienced individuals were those most likely to know where and when to find food, particularly during dangerous and infrequent conditions such as drought. Wild resident killer whales do not have the benefits of medical care, but, similar to humans, females can live for more than 40 years after they have ceased reproducing. An individual resident killer whale’s ability to find salmon is crucial to their fitness; in years with low salmon abundance, resident killer whales are more likely to die and less likely to reproduce. 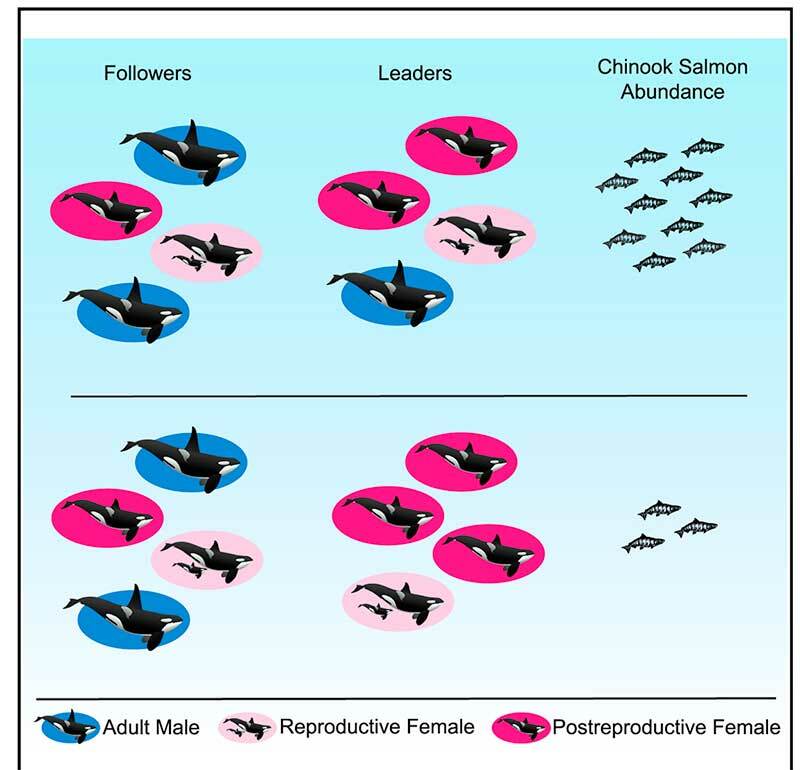 Our finding that postreproductively aged female killer whales are especially likely to lead group movement in years with low salmon abundance suggests that the ecological knowledge of elders helps explain why females of this species live long after they have stopped reproducing. Postreproductive female killer whales may provide other knowledge to their relatives. For example, postreproductive members of this socially complex species may have greater social knowledge that could help kin navigate social interactions. In some other species, like African elephants, survival is enhanced in the presence of older female relatives, who are more capable of assessing social and predatory threats. The scientists believe that for evolution, menopause will only evolve when the benefits for the species outweigh the costs of terminating reproduction. In humans, resident killer whales, and short-finned pilot whales, when a female usually stays in the immediate location of her family, that means that the benefits she can gain through helping her relatives, increases with age. 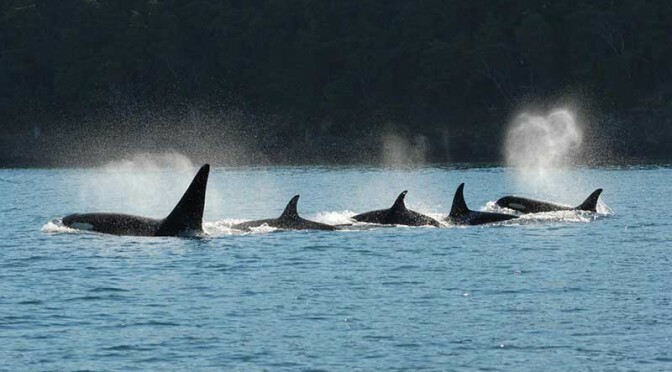 The study notes that Orcas have a number of different “ecotypes” or cultures “which differ in their prey specialization, morphology, and behavior, and which in some cases represent genetically distinct populations.” That means “that not all ecotypes are characterized by the same social structure as resident killer whales” where females leave their birth pod. The say more study is needed to find out if menopause occurs in those Orca pods and what the role of older females is in those pods. 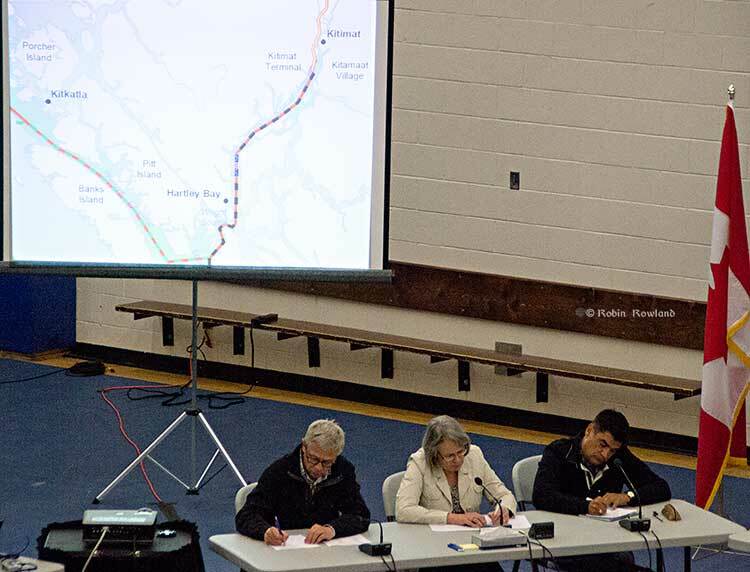 The study also did not look at the northern residents who frequently visit Douglas Channel. Whales are coming back to Douglas Channel. 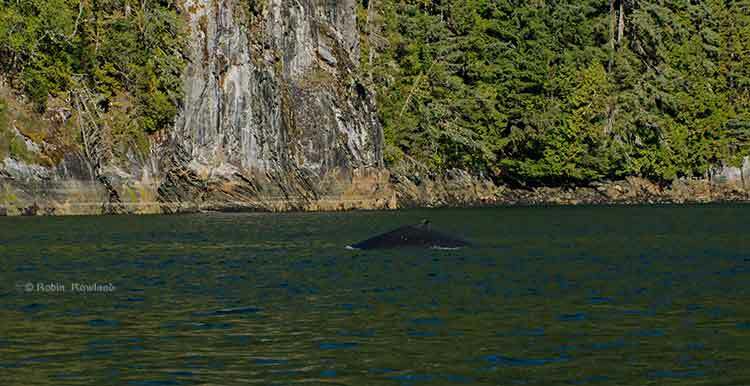 In 2013, many Kitimat residents with long experience on the water have reported and are still reporting more sightings of both orcas and humpback whales. Add to this a recently published scientific study that shows the number of humpbacks at the mouth of the channel near Gil Island has doubled in the past decade, with the study saying there were 137 identifiable whales in 2011. So why are the whales returning? Chris Picard, Science Director for the Gitga’at First Nation and one of the co-authors of the study believes that answer is simple. 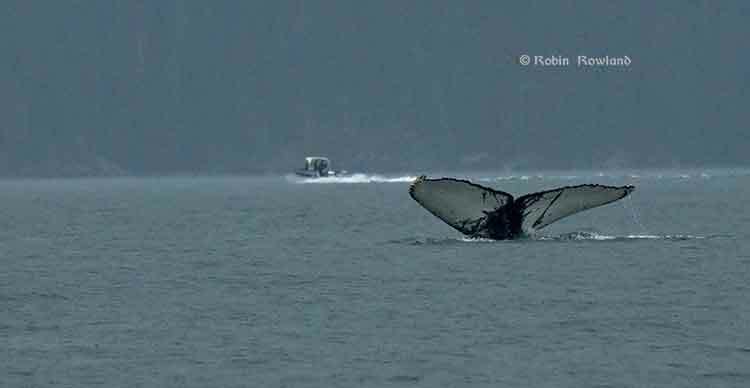 There are, so far, three species of whales seen in the area, humpbacks, orcas and fin whales. It is only now, Picard believes, that the humpback and fin whale populations are recovering from a century of whaling. The study estimates there were once about 15,000 humpback whales in the North Pacific when whalers began hunting the animals. That number was down to 1,400 when whale hunting was stopped in Canada in 1966. As whale numbers increase, they are searching for the rich food sources found in the Channel, both at the mouth around near Gil Island where the study took place and as far north as the Kildala Arm and Clio Bay. 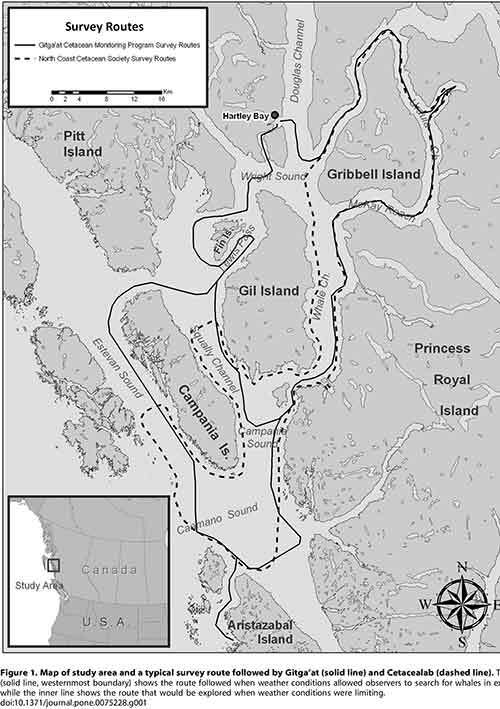 So far the study has concentrated in Gitga’at traditional territory around the mouth of Douglas Channel near Gil Island. Picard says increasing the study area to include more of Douglas Channel is a good idea, but would require more resources than are currently available. 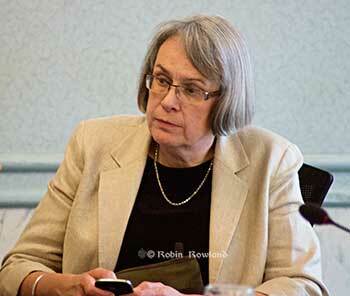 “We’d like to continue with the study consistent with the work that we have been doing. Considering what we’re seeing in the local Douglas Channel area, Wright Sound, Gil Island, it can be very worthwhile. 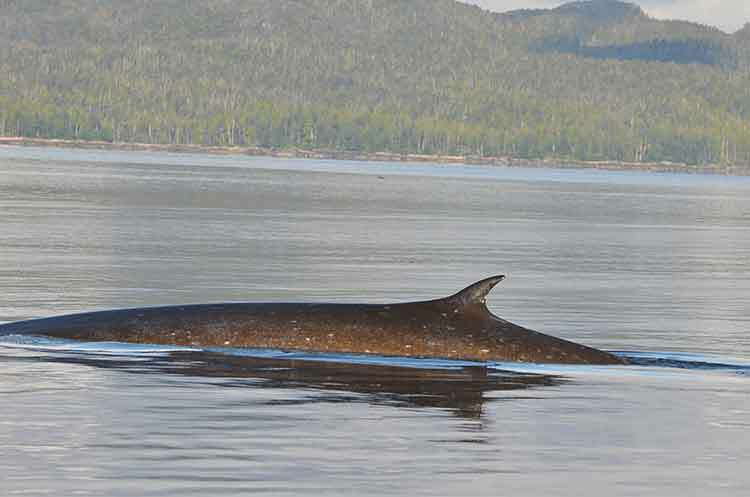 “We have observed is that fin whales have increased in their abundance in the area quite a bit, “ Picard said. “I can remember when we first started doing surveys, there were not too many. We’ve gone from seeing a couple over the course of an entire year. Now when we do our marine mammal surveys in the area the fin whales you pretty much see in every survey and in more and more numbers. So it’s quite encouraging to see that fin whales are becoming more abundent in the area. They were also hunted, so if you factor in the days of commercial whaling operations, that of course has stopped, so its encouraging to see that their numbers are coming back too. The fin whales tend to be found in many of the same areas at the humpack whales are using, Caamaño Sound, Campania Sound and areas south of Gil Island. “we’ve also seen them more in the interior waters like Squally Channel, Wright Sound, Whale Channel, similar to the areas where we see the humpbacks. “We haven’t done the same level of detailed analysis on the fin whale distribution as we have with the humpback, so it’s just my overall impression that they’re using similar habitats. “It’s unique for fin whales to be using these more confined waters. It is my understanding that they are more of an open water species. I think that makes the area fairly unique,” he said. Picard added it would be interesting to do a historic study to see how many fin whales were taken by whalers in the previous decades, especially in Caamaño Sound, Squally Channel and Wright Sound. “The fact that we saw so many humpbacks relative to the size of the area, which is pretty small relative to the whole coast, so there must be a high abundance of food in the area,” Picard said. 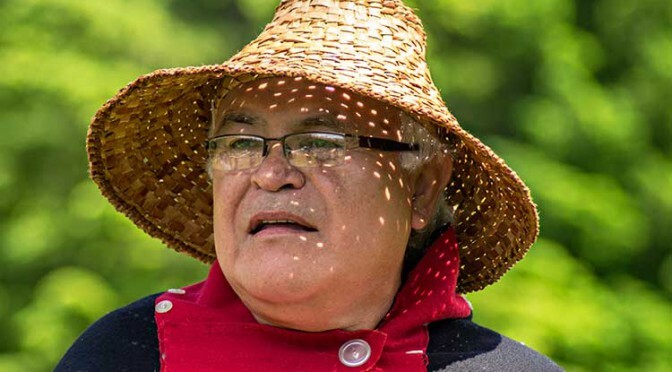 That means, Picard believes, that there could be krill and juvenile herring schooling in the upper Douglas Channel and that is what is attracting the whales. One of the next steps, Picard said, is to study social interaction among whales. “We do take identification photographs, so we get a sense of who’s hanging out with who; who is bringing their calves into the area to introduce them into what seems to be very good whale habitat,” Picard.